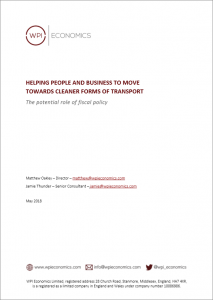 WPI Economics has published “Helping People and Business to Move towards Cleaner Forms of Transport”, a new report commissioned by ClientEarth exploring the various ways fiscal policy can be better utilised to increase the uptake of ULEVs and improve air quality. The report utilises an in-depth literature review and analyses of a variety of datasets to model the potential uptake in ULEVs to 2040 with moderate, front-loaded and back-loaded growth scenarios informed by the literature. Our findings revealed that the Government’s current fiscal system is not efficient in fulfilling key principles for vehicle emission taxation, is unsustainable, and only assists the Government in reaching the 2040 target of no new combustion vehicles in a limited capacity. 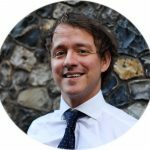 Further, we suggested short-term, medium-term, and longer-term recommendations for the Government to be able to adhere to its legal air quality requirements and effectively incentivise greater uptake of ULEVs to create a cleaner vehicle fleet. 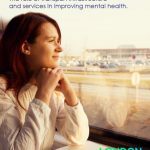 The report, accessible here, was provided with infographics of the key findings to present the research in an engaging manner and allow the findings to be shared on digital platforms, and was published alongside a shorter and shareable Social Shorthand with key insights from our findings.